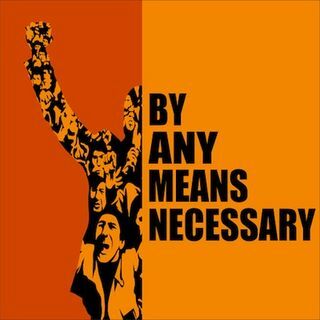 On this episode of "By Any Means Necessary" hosts Eugene Puryear and Sean Blackmon are joined by Sahar Khan of the Cato Institute to talk about the escalating conflict between India and Pakistan, efforts to avoid nuclear war between the two nations, the regional reactions to a potential war, and the politics behind the police state of Kashmir. In the second segment Kina Collins, healthcare advocate and Chicago-based organizer joins the show to talk about the election results from ... See More Chicago's municipal elections, what accounted for low-voter turnout, what to expect from April's runoff elections, and if Lori Lightfoot or Toni Preckwinkle will be the next Mayor of Chicago, Illinois. In a special third segment "By Any Means Necessary" is joined by Arnold August, author of the book “Cuba-U.S. Relations: Obama and Beyond” to talk about Cuba to discuss the reality of the recent constitutional referendum in Cuba, purposeful misconceptions about the constitutional process propagated by the mainstream media and attempts to portray the Cuban socialist project as losing popularity. Later in the show, Eugene Puryear and Sean Blackmon are joined by Ra Shad Frazier Gaines, founder of Black Progressives and Bob Schlehuber, Sputnik News Analyst to talk about Michael Cohen's testimony at the US Congress, Ivanka Trump's misunderstanding Universal Basic Income, Bernie Sanders' CNN town hall event, and Robby Mook being hired to run the House Majority PAC.